. Published on 03/08/2018 . Pruning wisteria can be a daunting prospect. We certainly don’t want to endanger those sweet smelling wisteria summer blooms. Well fear not, @mikethegardener‘s video is here to demystify how to prune wisteria and also how to train your wisteria. You should prune your wisteria twice a year once in the summer months of June and July and then in the winter months of January and February. 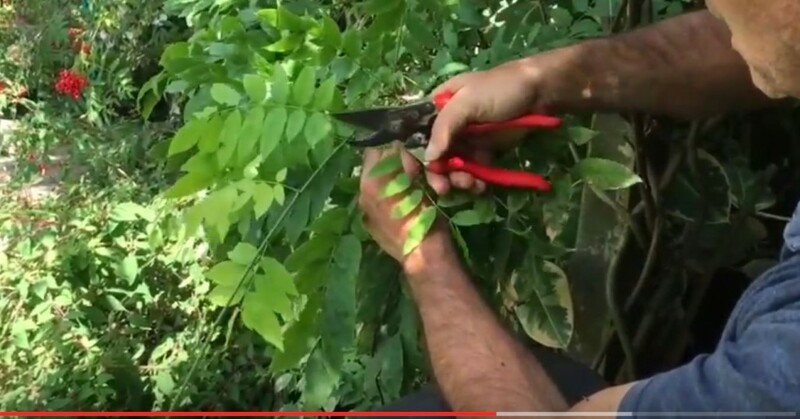 This video is focused on how to summer prune your wisteria. Just make sure you watch out for the whippy bits! You’ll also need to ensure you have a good quality pair of secateurs. If you would like to find out more about how to prune wisteria and the art of pruning, in general, you can sign up to GardenTags for free. You can manage your entire plant collection in GardenTags and get advice and inspiration from our members i.e. how to prune wisteria. You can also add plants you like to your growing wishlist and buy them at multiple retailers. If you’re an experienced gardener who would like to try their hand at filming a ‘How to’ video then please contact UKGardenTags in the app and pitch your video idea.